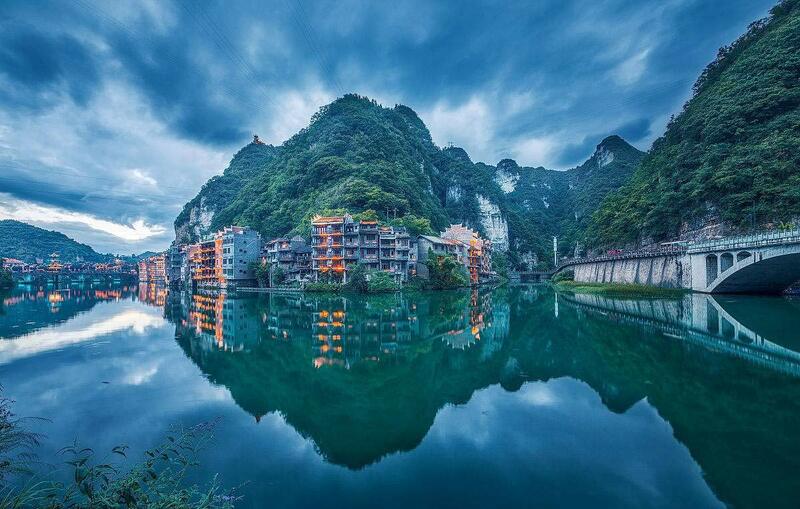 Zhenyuan town is about 190 km from Kaili City, and the ancient town, the Blue Dragon Cave, Wuyang River are fame in China. 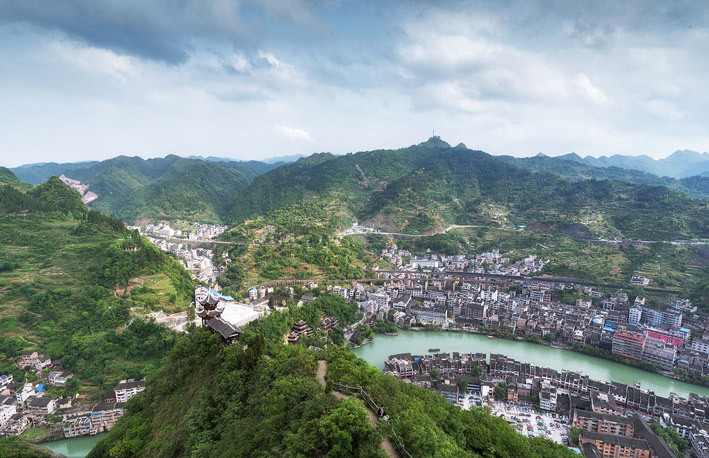 There are only normal trains from Guiyang City to Zhenyuan, also there are trains from Kaili City to Zhenyuan. 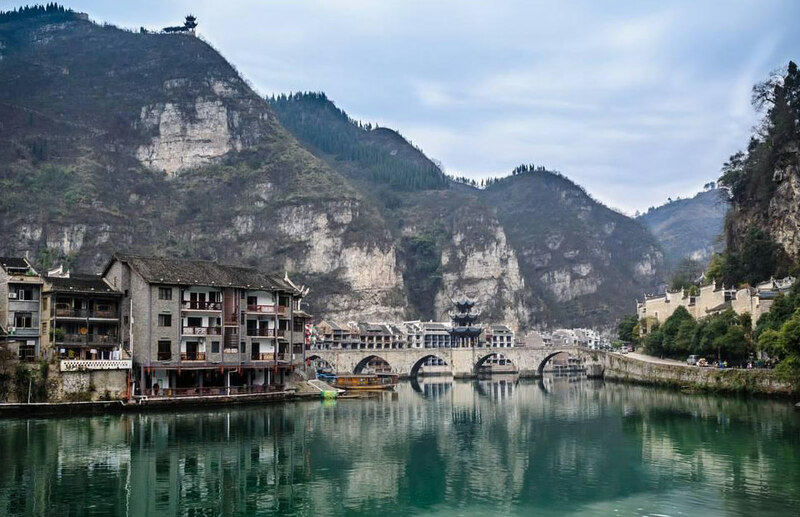 Zhenyuan, was set as a town since the Great Han Dynasty (202 B.C), and it is actually the town with the longest history in Yunnan-Guizhou Plateau, when the Silk Road expanded to the south, Zhenyuan seized a position transferring Chinese goods to Thailand, Myanmar and India. 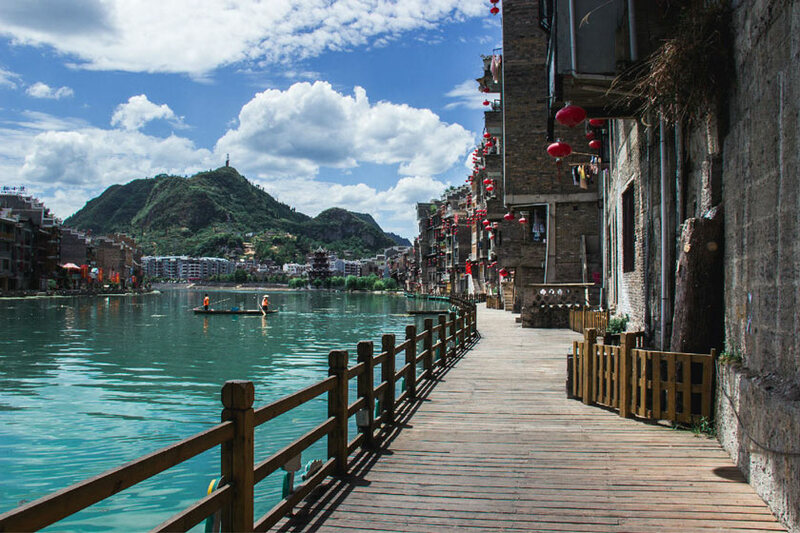 In 2009 it is ranked 1 of the top 10 ancient towns in China. 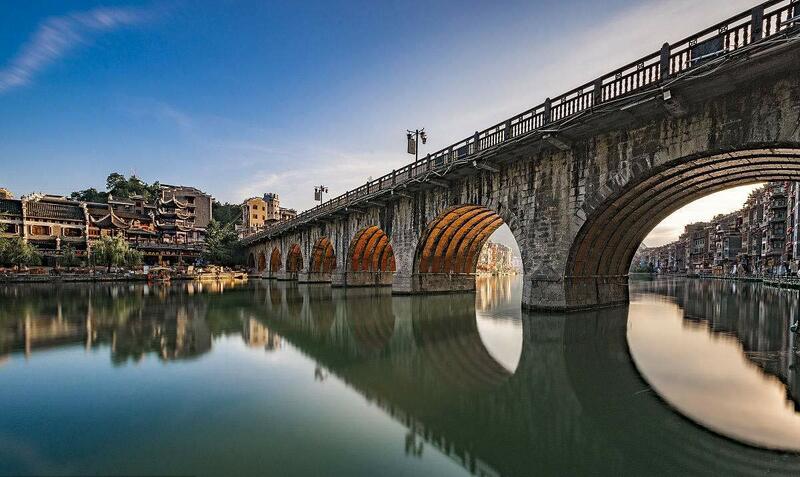 Within the town it is Wuyang river, in a shape of “S” surrounding the town. With 9 nearby mountains this town was in a shape of TaiChi. The best time to sight-seeing is in the morning. Tickets：Free, 0.5 Yuan per person for a ferry, double after 18:00; the bamboo cruises’ 80 Yuan per person, 60 Yuan for smaller ones. 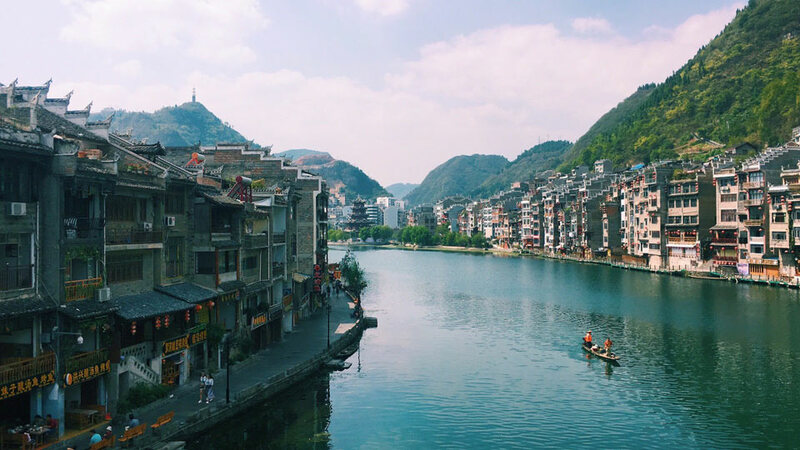 anywhere in Zhenyuan Town, a taxi fee within 6 Yuan is enough. Boating: 60 - 80 Yuan, depending on the size of the boat you choose.